Inertia Weevil! I knew it had a name. 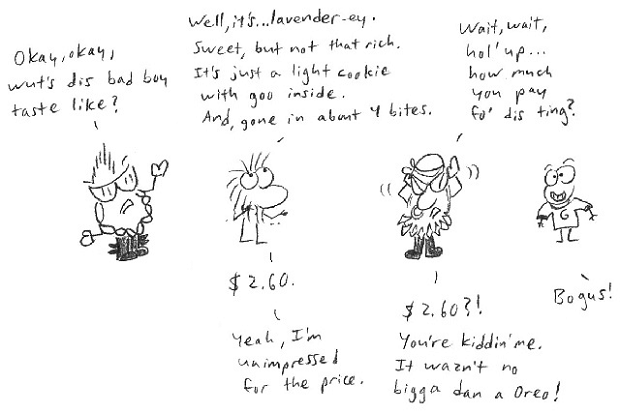 This is great -- that's EXACTLY how I came to try lavender chocolate (also unimpressed). Thanks, Shadiyah. 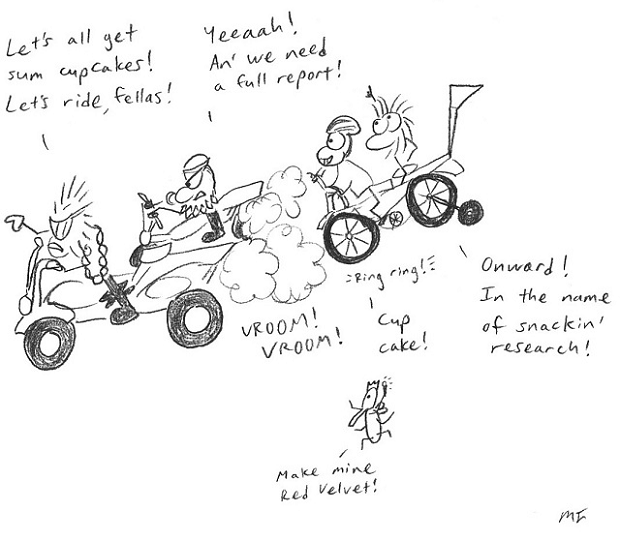 Yes, it's the return of Inertia Weevil! 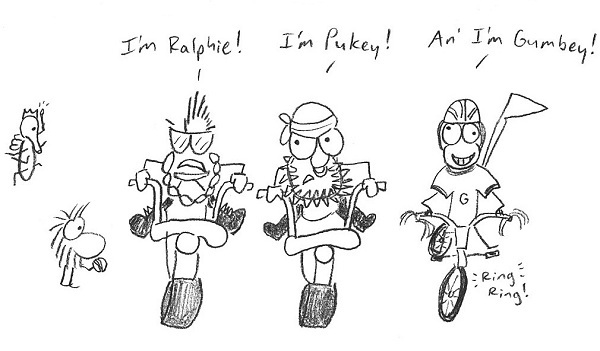 Have you seen his first appearance? I LOVE the Inertia Weevil!! Glad the Weevil is back. So funny and helpful to think about when inertia issues pop up. (p.s. 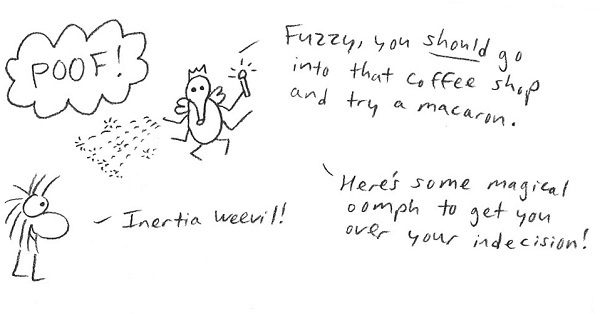 I'm with Fuzzy, not a big fan of lavender either... 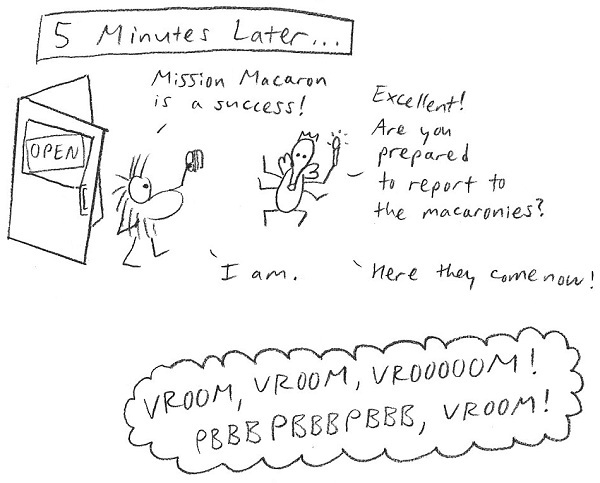 I did really enjoy a blackcurrant macaroon though :) Thank you Matt for your cartoons, they are so awesome. Thanks, Lisa! Black currant, eh? What are they thinking with these flavors? a) Thanks again for that profile pic heads up! b) as usual, you've made a great doodle! I am thankful each time I come here, even if there's nothing new yet... cause I know there will be if I can be patient enough! 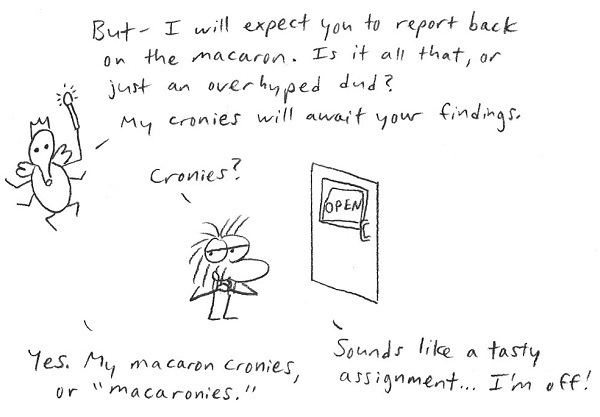 "macaronies" I love that! It's hilarious! So when I was cleaning the garage the other day, I found a big plastic weevil (seriously). I think it was Inertia Weevil! 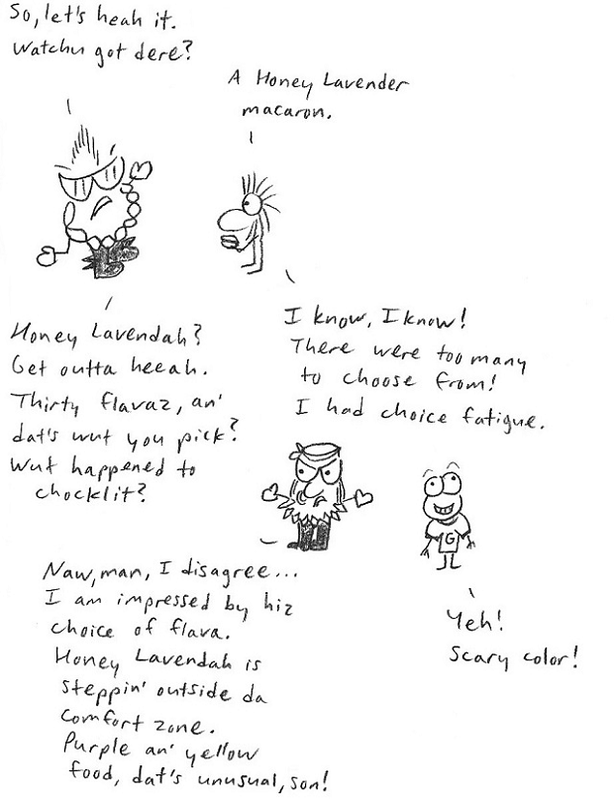 noooooooooo, lavender's not a flavor! eeeech. 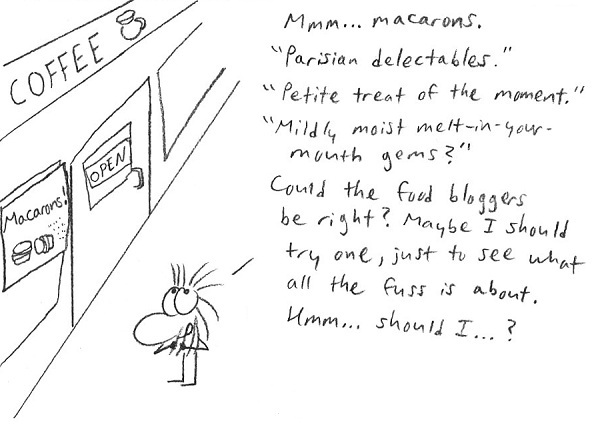 Actually, what are really delicious are French macaroons, but still (alas) horribly overpriced. 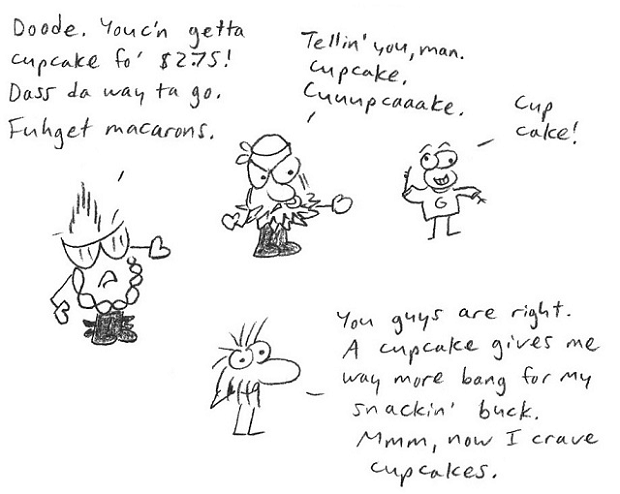 Bring on the cupcakes! :) I like this adventure in tasting, it could be a good social story!